Testimonies of His Goodness | Sharing the goodness of god through experiences and scripture. It’s been so long since I’ve used this space I almost feel like an intruder….lol. I feel like I should give an explanation as to why I’ve been away for so long but if I begin to delve into the details; multiple deaths in my family, moving to Jamaica, starting my Masters degree, etcetera, etcetera, I might be here for an insanely long time and may never get to share what’s currently on my heart. So with that being said, I’m back. Whether for a moment or for good this time is still to be discovered, but I’m glad that I’m in a space where I can communicate openly about my life and encounters with God again! Today, after a long period of searching and reassessing my life and my relationship with God, I was reminded of a key principle in understanding who God is and reaching out to Him. I’ll go back a little before telling you what that principle is, so you don’t feel out of the loop and I don’t seem like I’m rambling on about everything and nothing in particular. Have you ever hit a really low place spiritually, where you feel like you’re no where close to God and you’re praying that you’d have even a slight encounter with Him again so you can keep going? Now, this feeling may not be a result of sin or wrong doing, but simply a result of feeling drained by the stresses of life and literally having to take life one day at a time and dealing with each crisis in the moment. It may resemble waking up each day and praying, all the while not being certain if God is even listening or hearing you. Maybe you’re trying to worship and you just can’t find the right words or the right song and it’s as though you’re occupying an empty space and reaching out in futility. In such a moment, have you ever asked God “Where are you?” or “Why won’t you talk to me?” or even “Why have you forsaken me?”. If you’ve been here at any point in life, welcome to the club. That was me for the past couple months. I woke up each day and I grappled with praying and worshipping and many days I felt abandoned by God. I wanted so badly to hear His voice or feel His presence or at least get some form of confirmation that I was still within His will and plan for my life. And for months I battled, and doubted, and cried because it felt like I was grabbing at straws. I felt like at some point, God got fed up and just couldn’t be bothered to meet with me anymore. I can’t begin to tell you how empty and painful that was for me. To go from being in God’s presence daily and feeling Him close to me, to feeling like there was a wall between us and trying to figure out how to get past it. Of course during this time I kept seeing those memes online that say “the teacher is quiet during the test” and “God has promised not to leave you or forsake you”. These, while comforting momentarily, never proved to be enough to sustain me and definitely didn’t renew my peace. I needed something more, something solid, heck, I needed God! I know, this is a serious “what?” moment because it’s such a simple verse to combat all the drama I was facing. But, as simple as it seems, that one verse gave me the breakthrough I was so desperately looking for. You see, I’ve been reading my bible, but only because I’ve been taught to read it. I’ve been told time and time again that reading my bible should be part of my daily routine and so in my low place, I read because of religion and not relationship. What that means is, I wasn’t reading my bible because I wanted to know more about God or because I wanted to apply it’s principles to my life, I was reading it because it became a part of my routine, a chore almost. When I felt drained I cast the bible aside and believed that its words could not offer the comfort I needed, because it wasn’t God speaking directly to me – and ultimately, that’s what I wanted. This morning though, I was reminded that interacting with the bible is one of the most intimate ways of interacting with God. It gives us insight into the heart of God, the principles and standards He operates by, His thoughts towards us and His promises which He is faithful and true to uphold. This morning, I was reminded that when I feel like I have no emotional connection to God, I still have direct access to Him through His word. So, what now? What happens now that I’ve rediscovered the truth and simple answer to knowing God and maintaining my relationship with Him? Well, it’s simple, now I move from living out my Christianity as a chore to truly embracing all that God has to offer me through His word. Now, I read with purpose and I live in faith understanding that when God says he’ll never leave me nor forsake me, He means it. Now, I work on my relationship with God and not my christian religion. I’m going back to basics, seeking God’s truth daily through His word and living them out as much as possible every day. I’ll be honest, a part of me wants to say that this is basic stuff and chastise myself for forgetting it, but I’m more inclined to indulge the part of me that’s grateful for my valley experience because it reminded me that my walk with God is not an emotional one. It’s not about feeling warm and fuzzy inside and being brought to tears every time I think about God. It’s about being sober minded, and living a principled life that’s pleasing to God. My Christianity is about having faith that God is with me always and trusting Him to be my guide even when I don’t “feel” like He’s close. As I continue to seek God and walk in His ways I’m grateful for the reminder that I have access to Him always even when I “think” He isn’t there. So I’ve decided to read the bible from beginning to end. I haven’t given myself a timeframe or anything of the sort because my reason for doing it is simply to understand God better, so I’m not trying to rush the process. I really want to understand the principles within which he operates and see more of His heart in situations so that I may live a more pleasing life to Him. In times past I found the Old Testament tedious to say the least and there was no pleasure in reading the genealogy of the men of old or the rules by which they had to live, but lately, I’ve come to appreciate the wisdom of the old scriptures and the revelation they bring as it relates to who God is and what he stands for. One such revelation is just how important obedience is to God. Deuteronomy 28 in the NKJV started with the title “Blessings in Obedience” where the promises of blessings to the children of Israel were encapsulated in 15 verses. Then from verse 16 Moses speaks to the Israelites about the “Curses on Disobedience”. The next FIFTY-THREE verses tell of the curses that will come upon the Israelites if they should disobey God’s commands. That’s a big difference in terms of volume and it’s not that the blessings weren’t bountiful or gratifying but it shows how seriously God takes disobedience. I’ve seen other instances in the bible where the punishment for one person’s disobedience affected an entire group of people and I’ve heard a lot of sermons on the importance of being obedient to God. What this chapter did was bring it home for me. It showed me that God has always hated disobedience, that it’s a part of His character. Yes He’s loving, yes He’s gracious, yes He’s merciful but a major characteristic of who God is lies in His love for obedience from His people and His displeasure in disobedience. For me, what I’m taking away from this is that if I want to live a successful Christian life and continuously walk in God’s favour then obedience to God’s word needs to be a major part of what I do. I can never settle for simply knowing what the bible says but I must make a conscious effort to live out the word. Now, it’s not that I’m saying there isn’t a provision in grace and mercy for those times when I make mistakes or willingly go against what God requires of me, but ultimately, if I’m to live victoriously then I’ll have to consciously live an obedient life and see the blessings and favour of God shine through in everything I do. I have a sordid respect for death. I’m not fond of it and I never find myself doing cartwheels when it happens, but I respect death for what it is: an inevitable life event that is expected. I pine over the unexpected loss of young people and when someone very dear to me passes, but I tend to quickly come to terms with the reality of death’s existence during those times. Death, always brings with it thoughts about life – my life in particular – and what is being done with the little time I have on this earth. This week my family was faced with the daunting reality of losing two persons. My aunt who was 61 died suddenly from a flesh eating bacteria last Saturday and my 19 year-old cousin (not her daughter) was shot and killed by a stray bullet on Monday night. Three days, two deaths and here I am thinking about life and how I wish never to exist. Existence to me is dwelling in a space where my life revolves around my family, my home, my job, school at times and paying bills. Existing is working continuously while counting down for the weekend and doing only what is necessary to ensure I’m comfortable. Existing is being caught in a monotonous cycle of doing the same things on different days without realising that my life has no real impact on issues and people outside of my immediate circle. To me, existing means never stepping outside of my comfort zone or becoming involved in projects that would benefit others more than it benefits me. To exist is to live a selfish life only considering one’s own realities and never embracing the possibility of being more than what is required. That’s not what I want for my life. I wish never to be caught in a daunting cycle of existence, instead my life should be lived. I should travel and gain many experiences away from home. I should do volunteer work and be motivated by factors other than wealth. I should give freely of the knowledge I have and seek to help people become better than I am and achieve more than I have. My life should involve encouraging others and loving people genuinely no matter the cost. My life should be lived! Every time I think about Christ and the way He lived I marvel at the example He set by moving beyond existing and embracing a life well lived despite the consequences. I love how Jesus developed relationships and cared deeply for people even though he knew His time on earth was limited. I love how He gave all that He had to people whom he knew would turn against Him. It’s fascinating when Lazarus died he was able to connect to those who mourned and cry with them (John 11:1-16) and when an adulterous woman was brought before Him how rather than condemning her, he defended her although he knew it would make her accusers angry (John 8:1-11). Or when the little children came to see Him and his disciples were about to turn them away how He made time for them (Matthew 19:13-15) and my favourite of all, how he gave people more than they expected when He was in their presence, as in the case of Zacchaeus (Luke 19:1-10). It’s not enough to simply exist and do only what is necessary for our existence. We should live and be impactful. Our lives should represent more than a mundane list of necessities where we never give more of our selves than required. We should use some of our free time to mentor and encourage younger people or to sit with the elderly. We should volunteer for community projects and give of our resources to those less fortunate. We should speak up for the oppressed and take time out to enjoy life’s simple pleasures. When we die we should have had a positive impact on the world surrounding us. We all have the potential to do more than what is required, we can each be selfless with our time, and love, and most importantly, our God. Christ’s example was to do more than necessary to positively affect those who came into contact with Him; we should follow His lead. I respect death and when it is time for me to face it I pray that I would not have simply existed but I would have lived and made a positive impact on the world around me. I’ve always been intrigued by the story of Zacchaeus. I’m amazed that so many lessons can be learned from 10 bible verses which tell the story of an inquisitive man’s encounter with Christ. Today I’d like to discuss Zacchaeus’ response to Christ, how his encounter caused a change in his character and God’s ability to exceed our expectations of Him. Put frankly Zacchaeus simply wanted to put a face to the name of a man everyone was talking about, but because he was short and the crowd was thick he had to take what could be deemed as extreme measures to accomplish his goal. When he climbed into that tree on the day that Jesus was passing he was not expecting to have an encounter with God. He really just thought he had figured out a way to overcome the problem he faced: being too short to see. That day however, Zacchaeus got more than he bargained for and his encounter with Christ made Him a better man. In the account of this story, the bible tells us that Jesus stood under the tree and acknowledged Zacchaeus by name and then proceeded to go to his home to share a meal with him. Can you imagine Zacchaeus’ surprise when Christ decided to meet with him, a dishonest man, who was hated by many? What we see is that while in God’s presence Zacchaeus not only acknowledged his wrong doings but he also made decisions to do what was necessary to reimburse those persons whom he stole from. Zacchaeus’ response to Christ has within it a clear model of what repentance looks like. Repentance is the acknowledgement of your sin and a decision to no longer do that thing which displeases God. It requires us to confess to God that we were wrong and sometimes it means doing what is necessary to undo some of the hurt we caused through our ungodly actions. Zacchaeus also teaches us that Godly encounters – through prayer, worship, the word of God, prophesies, dreams, visions, etc. – help us to change those things which are displeasing to God while building our character. In addition to Zacchaeus’ response in this story I can’t help but admire and appreciate God’s ability to meet us at the point of our needs – even when we don’t realise how badly we need Him – and to exceed every possible expectation we have of Him at the same time. I remember once I prayed and asked God for a new job because I felt stagnant in the one I had at the moment. Mere weeks after talking to God about it I got an answer to my prayer in the most unexpected way. God did not give me a new job. Instead, he allowed the managing director of the company I worked for to see my potential for a position I was not qualified for and because of that, I was transferred to another department and promoted. The ironic thing is, I wasn’t only unqualified but I was the youngest and most recent addition to the staff. Most of my colleagues could not understand the decision made by my manager but I knew it was God’s way of exceeding my expectations of him. Needless to say I went on to be very successful at that job and before I resigned I was responsible for spearheading major developmental projects for the company. I guess what I’m getting at ideally, is the fact that it is possible to encounter God and see a change in our lives and circumstances because of that encounter. It is possible to experience the power of God to influence change in us and to see ourselves move from a place of sin to a place of repentance and restoration in Christ. Like Zacchaeus, we may not be expecting a life changing encounter with God but once we have a desire or an expectation of Him, He can meet and exceed all that we desire. Keep your heart with all diligence! From the moment I got saved I’ve been obsessed with the heart. I continuously think about what it means to have a clean and pure heart and I’m always trying to find ways to ensure that my heart is protected from festering filth. My understanding that God searches the heart of men has increased my awareness of my own heart and instilled in me a genuine desire to keep the source of my actions as pure as possible. I have not begun to unravel the depths and mysteries of this verse but I suspect God will continue to reveal it’s true meaning to me over time. For now though, I’d like to share some ways I’ve learned to keep my heart guarded when dealing with painful or disappointing situations. The more I interact with people who disappoint me is the more I realise that their actions not only affect my mood and my view of them, but it affects my heart. 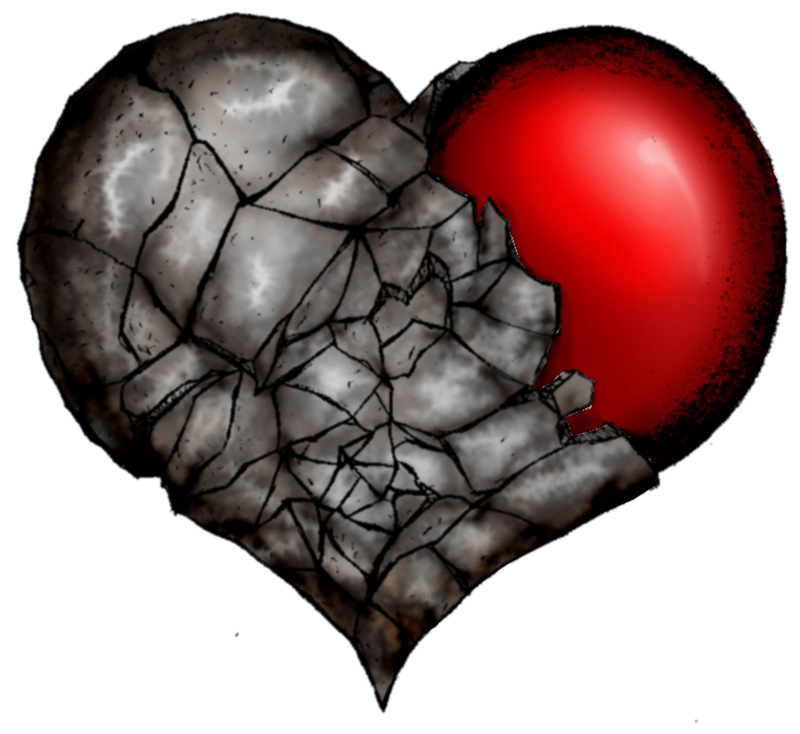 The more upset I become when I’m hurt by the words or actions of others is the easier it is to infect my heart. In fact if I were to be blatantly honest with myself, I’d admit that when I’m not careful, I allow things to fester unnecessarily, causing an ugly bitterness to develop that wasn’t there before and then I have to take deliberate measures to get back to a place where I can genuinely love that person again. The danger I’ve found in my own behaviour is my ability to tell myself that I’ve let things go and believe those words without truly examining the truth of my statement. In the past I’d simply say to myself that I’m fine and never go through the process of feeling hurt and angry and then finding practical ways to forgive and move on. Recently though, I’ve found that praying for people whom I feel have wronged me and blessing God for creating them has helped me to keep my heart pure. When I acknowledge that the person who’s done me wrong is also a child of God, whom he loves and cares for then my perspective shifts. I begin to honour God for who they are to Him, and for what He is doing in their lives and so I shift my thinking. That prayer impacts my heart and helps me to forgive and love people in spite of our misunderstandings and disagreements. Another way I’ve learned to keep my heart is by being deliberate in having meaningful conversation with them even while I’m hurting. This one is a bit tough to do at first but once I let go of my ego and start speaking I find it becomes easier to carry the conversation forward. The key, I believe, to being successful in this, is to remember that our lives should please God. That having this conversation is not about me feeling good or better, but it’s about honouring God and being a good example so His name would be glorified. Most times I find that having a lighter conversation that isn’t directly related to the problem I’m facing with the person helps with my frame of mind and makes it easier to raise the issue I’m having in a way that facilitates healing conversations. This also helps in changing my perception of people in my mind. Once my mind is changed, then my actions change and my heart is void of all malice against that person. Sometimes though, in spite of having these methods I still find myself holding on to negative words and situations much longer than I intend to. I sometimes refuse to forgive others because I feel a justified sense of satisfaction when I can look at them and say they’ve done me wrong and highlight the flaws of their character. Sometimes when I think about some people I still only see the wrong they did to me, I still get annoyed or hurt when I think of words they said or things they did to me and I’m still not open to genuinely connecting with those people on any level – all because I choose not to be honest about the negative feelings I’m harbouring against them in my heart. Recently though, I’ve started examining my flaws and I’ve begun to truly appreciate that we all have things in us that God is working on. I’m not perfect by any stretch and if God can forgive me for the many times I’ve messed up and the many times I’m going to mess up, then I can forgive people that have done wrong against me. Holding a grudge feeds a desire to be right and righteous, but the bible uses the analogy that our righteousness are like filthy rags before God. I’ve come to realise that one of the main keys to keeping my heart in diligence is to always aim to please God. Not just in my ways but in my thoughts as well. A heart that is set on pleasing God will remain guarded and will not be easily affected by the poison of this world. I know that there is a lot more to be understood and applied from Proverbs 4:23 but this is what I have to offer on the subject for now. What other insights did you get from this verse? If God says something will happen, our faith is not in waiting to see if that thing happens, but in believing it will happen despite our circumstances. I’ve been musing over Romans 4 and it’s account of how Abraham’s belief in what God told him was accounted to him for righteousness. I know, that’s a lot of Biblical Jargon there but what it simply means is that Abraham wasn’t considered a righteous man because he did what God instructed him to do, neither was it because of the end result of his interactions with God. He was considered a righteous man because he believed God. When God told Abraham that he and his wife would have a son and from that son Abraham would become the father of many nations he didn’t question the logistics behind that promise. Let’s be real, here’s God telling a 75 year old man that he and his 90 year-old wife would have a child. And if that wasn’t enough the child didn’t come immediately but instead he waited a further 25 years before he saw the fulfilment of that promise. There are a lot of lessons which can be learned when you study the book of Genesis and Abraham’s interaction with God while he waited for God’s word to be fulfilled. However, I’d like to focus on the fact that God is true to His word. When he makes a promise to us he is faithful to keep it. What I find interesting though is how easy it is to disregard or question God’s promises when they don’t happen in the way or the time frame within which we desire. As I evaluate my own life I see areas where I would have doubted God and the promises He’s made to me. So many times – especially when I felt down – I questioned whether the things God has spoken to me and has prophesied over my life were ever going to happen. I thought about the many promises in the bible that I once held dear to my heart but chose to stop hoping in because I didn’t see the evidence of them in my life presently. Today, as I mediated on Romans 4 I felt a renewal of hope in the reminder that our faith is simply believing that God will do what he said he would do. Faith is believing that Christ will finish the work He’s started in me despite my current situation. Faith is believing the I am more than a conquerer in Christ on even on my worst days. Faith is believing that God will provide my every need once I seek Him first even when the bills are piling up and my bank account is running low. The reality is that faith and righteousness go hand-in-hand. Whatever God has said He will do in your life believe that He will do it. Don’t let your circumstances influence your faith. If God can fulfil his promise of a child to a 100 year-old man and his 115 year-old wife, he is more than capable of doing what he said he would in your life. 2015 is missing from my blog. Ideally it should’t be, because 2015 was the year when I took time off to discover who I am and understand myself better and if this is the space where I record my experiences as it relates to God, then this is the place where I should have at least tried to document 2015 right? I keep thinking that I should include an apology somewhere in this post but I’m not going to, because I think it’s okay for a person to stop and reassess their life and find peace amidst the storm in isolation. I’m not sorry for abandoning this space but I missed it immensely. I missed engaging with my readers and engaging with other writers. I’m in desperate need for God’s peace. My mind races like a Ferrari on an open circuit and while I know that ultimately God’s plan will be revealed to me in time, I still struggle to find stillness amidst the madness that I see before me. My heart aches for a glimpse of the not so distant future so my mind would cease to run rampant with worrying thoughts and I can wait peacefully for God’s promises to unfold. However amidst the uncertainty there is a great expectation stirring within me because I’ve experienced God’s awesome move in my life before and I know it’s at times like these He shows up and shows off for me. I continue to depend of God and I continue to rely on His love, grace and mercy as I move forward. My heart still longs for more of Christ and my desire is still to please Him in everything I do. I wish only to see God take complete control of my life, regardless of what that translates into. I may not have documented 2015 in this space but I am certain the lessons I’ve learned will be referenced from time to time as I pick up from where I left off in 2014. I expect great things from my great God and I look forward to serving Him, His people and His kingdom this year. God continues to be good and I will continue to give Him all honour and glory and praise. I am blessed to be numbered amongst His children and I am proud to proclaim His name across the globe! 1. Disobeying – Pharaoh’s willful disobedience led to his hardened heart. Exodus 4:21 And the Lord told Moses, “When you arrive back in Egypt, go to Pharaoh and perform all the miracles I have empowered you to do. But I will harden his heart so he will refuse to let the people go. 2. Having wealth and prosperity- Taking God’s blessings for granted can cause us to feel as though they were owed to us. Deuteronomy 8:6-146 “So obey the commands of the Lord your God by walking in his ways and fearing him. 7 For the Lord your God is bringing you into a good land of flowing streams and pools of water, with fountains and springs that gush out in the valleys and hills. 8 It is a land of wheat and barley; of grapevines, fig trees, and pomegranates; of olive oil and honey. 9 It is a land where food is plentiful and nothing is lacking. It is a land where iron is as common as stone, and copper is abundant in the hills. 10 When you have eaten your fill, be sure to praise the Lord your God for the good land he has given you.11 “But that is the time to be careful! Beware that in your plenty you do not forget the Lord your God and disobey his commands, regulations, and decrees that I am giving you today. 12 For when you have become full and prosperous and have built fine homes to live in, 13 and when your flocks and herds have become very large and your silver and gold have multiplied along with everything else, be careful! 14 Do not become proud at that time and forget the Lord your God, who rescued you from slavery in the land of Egypt. 3. Rebelling and being discontented – Suffering or discomfort can create an attitude that blames God. Psalm 95:8The Lord says, “Don’t harden your hearts as Israel did at Meribah, as they did at Massah in the wilderness. 4. Rejecting a deserved rebuke – Rejecting God’s gift makes our neck stiff and our heart hard. Proverbs 29:1Whoever stubbornly refuses to accept criticism will suddenly be destroyed beyond recovery. 5. Refusing to Listen – Refusing to listen leads to a loss of spiritual hearing. Zechariah 7:11-13 11 “Your ancestors refused to listen to this message. They stubbornly turned away and put their fingers in their ears to keep from hearing. 12 They made their hearts as hard as stone, so they could not hear the instructions or the messages that the Lord of Heaven’s Armies had sent them by his Spirit through the earlier prophets. That is why the Lord of Heaven’s Armies was so angry with them.13 “Since they refused to listen when I called to them, I would not listen when they called to me, says the Lord of Heaven’s Armies. 6. Failing to respond – Listening to God with no intention of obeying produces an inability to obey. Reference: Romans 9, Page 1911. (n.d.). In Life Application Study Bible. Tyndale House. Today I was reminded of the foundation on which my Christianity is formed. I am saved because God loved me enough to send the only son he has into the world to die on a cross and shed His blood for me. The thing is, He sent His son knowing that I would not accept Him right away and I would reject this perfect gift he was offering me. 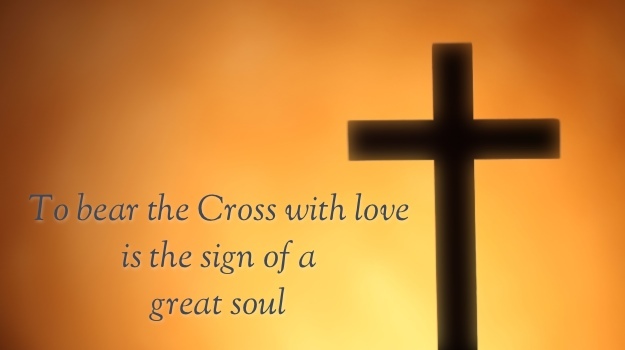 I believe in the story of the cross and in the saving blood of Jesus Christ, and that, is the foundation of my faith. I think saying that I forgot the principle of the cross would be a bit draconian, but I can say that I needed a reminder of it today. When I first understood the love God showed me it changed my life. Everything I thought was important went out the door; career, marriage, friends, everything paled in comparison to my new desire for more of this amazing being. As my desire grew and my passion became stronger, the enemy of my soul stepped in and life became a battle. The war between my flesh and my spirit was all too real and the weight of that battle took it’s toll on me. I started losing things, and I was stripped of every right I thought I had and for someone as liberal as me, that change was hard. The darts came hard and fast and the closer I get to my purpose being fulfilled the harder this Christian walk seemed to get. Then, just as I was at breaking point, God reminded me of His love for me. He reminded me that I’m reconciled to Him and I’m His child. I was reminded that He loved me before I loved Him and gave up his most prized possession to secure a place in eternity for me. Once, I spoke to a group of youths and I was told them that if you believe something then you should act in accordance with that belief. If I believed I had a million dollars in the bank then I’d go shopping and start swiping my debit card, expecting the machine to say “accepted” every time. In the same way, if I truly believe in God and the love He has for me then I’ll live my life following His word and expecting to have victory over the enemy time and time again. He who believes and is baptized will be saved; but he who does not believe will be condemned. And these signs will follow those who believe: In My name they will cast out demons; they will speak with new tongues; they will take up serpents; and if they drink anything deadly, it will by no means hurt them; they will lay hands on the sick, and they will recover. All of these promises are available, not only to me, but to anyone who believes in Jesus Christ; that he came to earth in the form of a man, died on the cross for our sins and rose again on the third day. I am who I am and I am where I’m at today only because Christ died on a cross to save me. That salvation is available to you too and whether you’re only now finding out about the cross or you’ve known about it for a long time, I think it’s good to have a reminder that someone loved you enough to die on a cross so you can have a wonderful eternity wrapped in God’s arms.